Comic Book Guy falls asleep during a Sci-Fi DVD marathon and dreams up three thrilling astronomical adventures. First, Bart is recruited by a battle school, where he and a ragtag crew of cadets are trained to fight an alien war. Then, Lisa finds herself set adrift in space when the satellite she is tethered too is destroyed by Krusty-themed space junk. 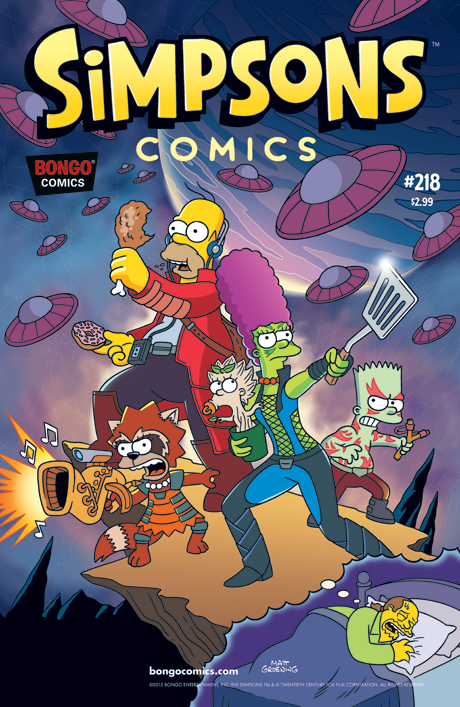 Finally, no one is safe when Homer and yet another ragtag band of misfits become Protectors of the Planets.